Last month, we were fortunate enough to be invited down to an event for one of the educational centres at the City Hospitals Sunderland NHS Foundation Trust. 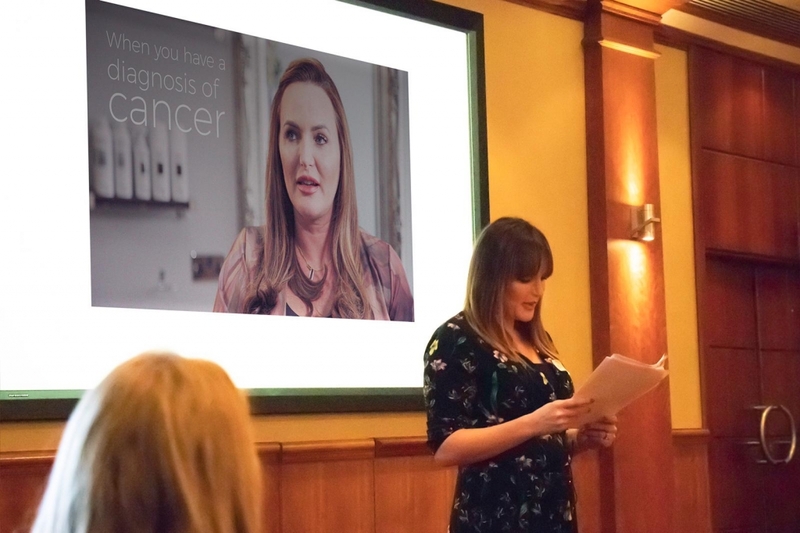 The event itself, was very well attended, with over 150 signing up for a day full of workshops, inspirational speeches and advice on ‘living with and beyond cancer’. The focus of the day was on how individuals could move forward and rebuild their lives both during and after the physical and mental strains of cancer. Like with most cancer, the impact and effects don’t just suddenly stop once treatment is over. Many aspects of day to day life are effected by the living with and through the disease and without proper action the long-term affects are, in most cases, prolonged. This can make moving forward difficult. The most affected area is the body and mind, mainly because of the unwanted pain and the interferences that come in with an individuals that come into ones life. There has been much research to suggest that our mental state can leave an effect to our biological functioning and without proper coping methods it can be difficult for individuals to relax and refresh their body and mind. From hair loss and chemotherapy, to radiotherapy, surgeries and scar tissue, the factors affecting individuals are endless. They contribute to emotional distress but also physical impacts such as fatigue and nausea and self-esteem; all of which make the journey and beyond that little bit more difficult. 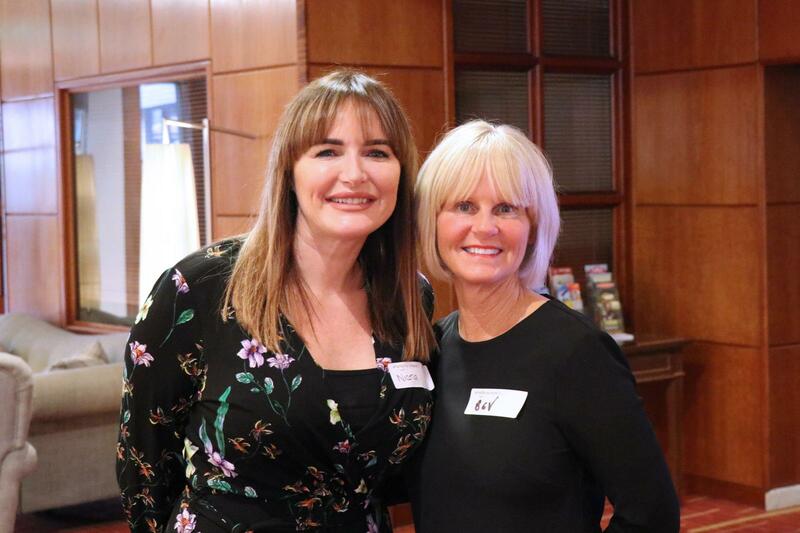 Through personal experience and years of studying cancer and wigs, we were able to step in and offer advice on how these areas could be tackled, with both time and practice. We offered a variety of practical solutions, coping strategies and healthy lifestyle tips, all of which we felt could be used in a positive way for both the body and the mind. Whether you have just been diagnosed with cancer or you have had it several years, the aforementioned issues (to name a few) can still be prevalent, so we made sure to address these for everyone affected. 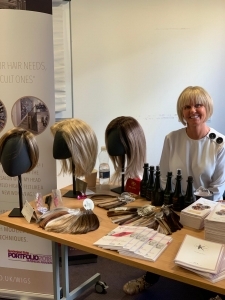 After lunch, we were given the opportunity to speak to everyone in attendance and it was great to meet so many people who had used the Wonderful Wig Companies services in their journey with cancer. Some had travelled to our Sunderland salon based at the Kitui Hair Design site and we’d visited some attendees in hospitals. We met a few individuals who had finished their treatment and were on the mend, which was amazing to see. They were quick to point out the impact that our services had had on their recovery process, which gave us a huge sense of pride and achievement in the services we are currently offering, and our plans of expansion in the future. We also spoke to a lot of newly diagnosed patients, some of whom were scared of what the future may hold for them. We were quick to point out the level of support that was available, both from us and numerous other professional bodies in the North East. Cancer can often be a long and lonely journey, but there is plenty of help out there and we were certainly proud to be part of that.